The composer, conductor, director and author Peter Ruzicka celebrates his 70th birthday on 3 July 2018. Exactly one month earlier, on June 3, 2018, Ruzicka's third opera BENJAMIN premiered at the Hamburg State Opera, which the composer himself had once accompanied as an artistic director in the 1990s. The work of the composer born in 1948, who has done much in addition to the creative work as director of large houses and festivals as well as author and conductor for the new music, developed over decades. This development was very organic. Often his works, especially in the case of operas, are closely intertwined with preliminary studies. In Ruzicka's case, too, the striking attention to fragments, the dialectical questioning of already found and exploited material as well as the connection to tradition are not exchanged in large fractures against new, different compositional ideas but, albeit with different emphases, much rather supplemented and continued. A composer's self-describing phrase, "The past in the zone between forgetting and remembering is visualized by circling, permeating, and appropriating," says a lot about Ruzicka's compositional thinking. Ruzicka himself answers his listeners many questions in their own texts, which were published under the titles "Invented and found music" or "Ins Open - Texts to the music" at the cloud publishing house. Peter Ruzicka studied law and music in Munich, Hamburg and Berlin and received his doctorate in 1977. 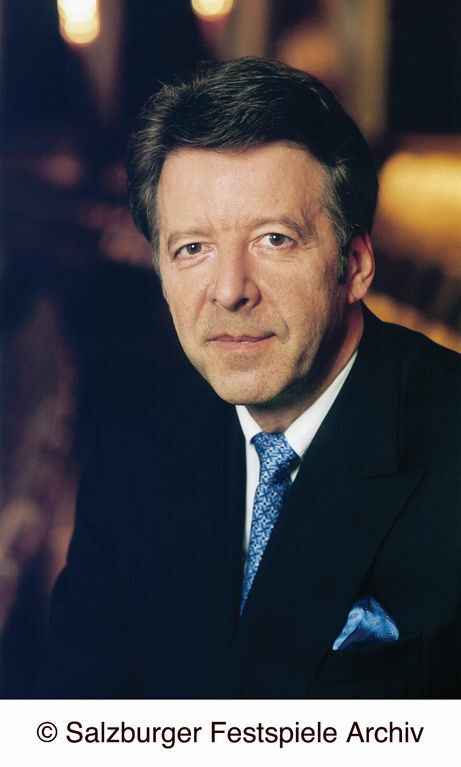 After working as artistic director of the Berlin Radio Symphony Orchestra between 1979 and 1987, he was artistic director of the Hamburg State Opera from 1988 to 1997. From 2001 to 2006 Ruzicka directed the Salzburg Festival. Since 1990 he has worked as a professor at the Hamburg University of Music and Performing Arts. From 1996 to 2014 he was Artistic Director of the Munich Biennale. Ruzicka appears as a composer, conductor and director and cultural manager in international music life. While at the end of the sixties his work was still under the spell of the "generation of the fathers" (Henze, Ligeti, Stockhausen), Mahler, Webern and Celan can be described as the trigonometric points since "... fragment ..." (1970) who mark his aesthetic course from now on. Against this background, a work has developed that impresses equally in the diversity of genres, the power of inspiration and the sovereign mastery of the compositional profession. In vocal works and in the two previously performed operas "CELAN" and "HÖLDERLIN" Ruzicka turns to personalities of literature, which were essential for him. The third opera "BENJAMIN" is again about a figure of literature and philosophy: Walter Benjamin, the great German philosopher, cultural critic and translator of the works of Balzac, Baudelaire and Marcel Proust.